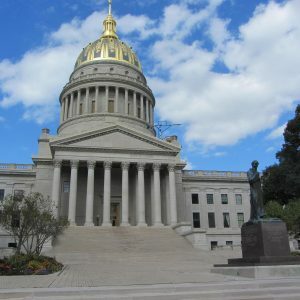 Recently, West Virginia submitted a bill that seeks to regulate online gambling and online poker in the state. However, it appears that one key player in the state does not appear to be on board. According to an article from Online Poker Report, West Virginia lottery officials are not in favor of supporting gambling expansion at this time. On January 11th, West Virginia Lottery Director Spoke to the House Finance Committee regarding a proposed bill to regulate online gambling in the state. Director John Myers states that he believes that lawmakers should wait until a later date to reconsider online gambling. Myers admitted that they fully see the opportunity available in online gambling, but believes that now is not the time. According to an article in the Charleston Gazette-Mail, Myers is more concerned about the rollout of sports betting than for online gambling. Presently, only two of the five state’s casinos have rolled out sports betting apps to allow players to bet from within the state. The remaining casinos will be rolling out their apps at some point during the year. What does the lottery currently support? Expansion of video Keno and Limited Video Lottery. Since these products have a greater impact on the lottery’s bottom line, they are focusing on these products for the immediate future. The state Lottery will support bills that will allow for Keno and LVL expansion to convenience stores and other specified locations. Presently, players can only play Keno at clubs and bars that are licensed for the game. Will Recent Wire Act Opinion Play a Future Role in Lawmaker Plans? The meeting between Director Myers and the Finance Committee came before the DOJ released their new opinion regarding the Wire Act. Under the new opinion, data regarding the transmission of betting data for all forms of online gambling, including sports betting, cannot cross state lines. This varies wildly from a 2011 opinion that only restricted sports betting data transmission. This opinion could have both short-term and long-term impacts on what happens in West Virginia. Pennsylvania has already made changes for their upcoming launches of online gambling and we would not be surprised if some casinos in West Virginia don’t have to change some processes to ensure that their sports betting data remains entirely intrastate. However, with the uncertainty behind the future of online gambling thanks to the new Wire Act opinion, it is entirely feasible that lawmakers take an extended hiatus on regulating online gambling. The present bill under consideration in the state, H 2184, would allow state casinos to offer online poker and online gambling with a 14 percent tax rate. Prior to the release of the revised Wire Act opinion from the DOJ, it seemed that online gambling regulation in West Virginia was no better than a 50-50 proposition. Now, with recent developments, it seems that it is an extreme longshot at best. For the rest of 2019, we suspect West Virginia will focus on getting sports betting and the expanded lottery games online and wait and see what happens with the DOJ regarding the Wire Act. It is widely expected that legal challenges will be raised at some point before the 90-day compliance window concludes. While it is certainly possible that existing legislation could move forward out of committee, it is hard to see it progressing to a vote in the House without the support of the state Lottery. As such, we are considering online gambling expansion a virtually dead issue in West Virginia for 2019. What happens beyond that will depend largely on what happens regarding the Wire Act.